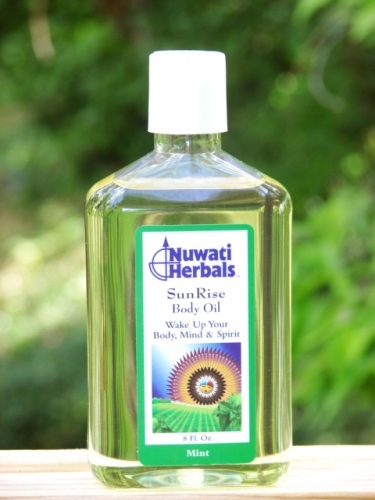 As the sun rises awakening Mother Earth to a new day, the stimulating aroma of SunRise awakens the energy of your Body, Mind and Spirit while the oils invigorate your skin. Directions: When used as a BODY oil: pop open top and apply as needed. For additional moisture, apply to damp skin. When used as a BATH oil: pour 2 caps full under running water. The oil will mix with the water to evenly cover your skin. Caution: Keep out of the reach of children. For external use only. Avoid eye area. Made in the USA by Nuwati Herbals!